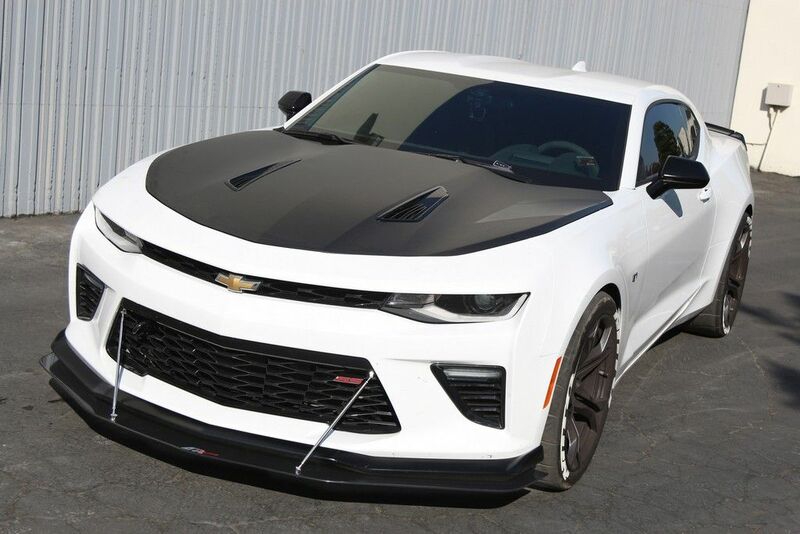 APR CW-603624 Carbon Fiber splitter with rods were specifically created to enhance the performance of your 2016-2018 Chevrolet Camaro SS 1LE. 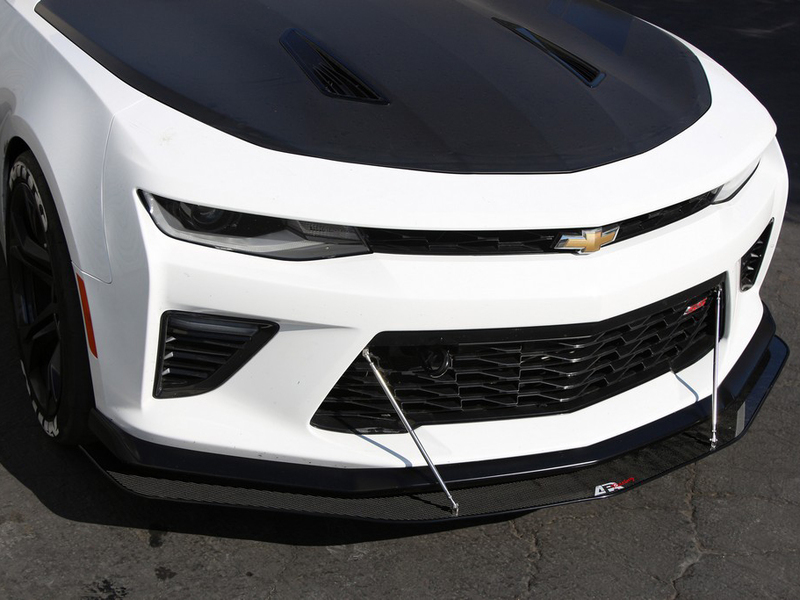 Add more down force and faster track time with this front carbon fiber wind splitter by APR Performance. A Mustang Wind Splitter is a protruding flat surface in the front of a car that is designed to decrease front end lift and exert downforce. By creating a high pressure area on top of the wind splitter, high pressure air flow is restricted to flow underneath a car. With low pressure below the car, the effect of lift is reduced and a driver can gain from the extra traction and control. 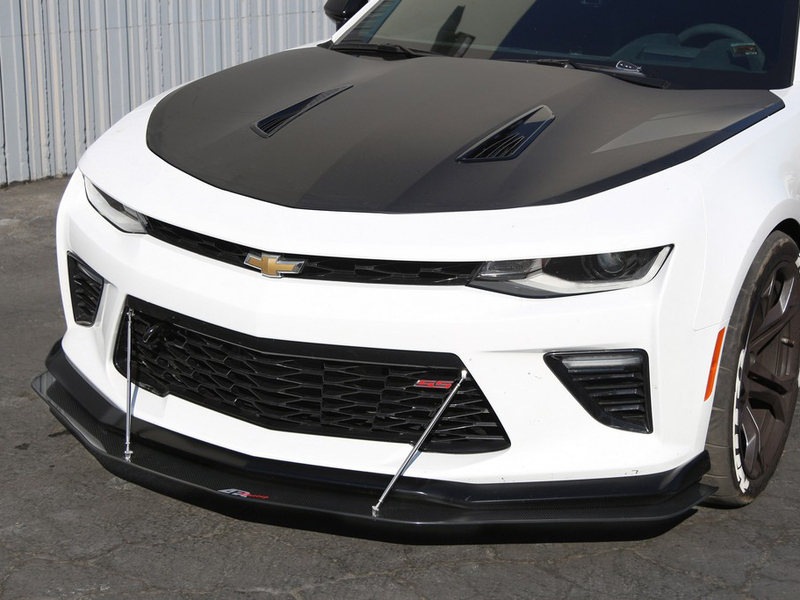 Your new Camro already came with a more aggressive front air dam to combat the effects of front end lift, however APR Front Wind Splitters are utilized to give extra traction and control in the front of your pony. By creating a high pressure area on top of the wind splitter, high pressure air flow is restricted to flow underneath a car. With low pressure below the car, the effect of lift is reduced and a driver can gain from the extra traction and control. 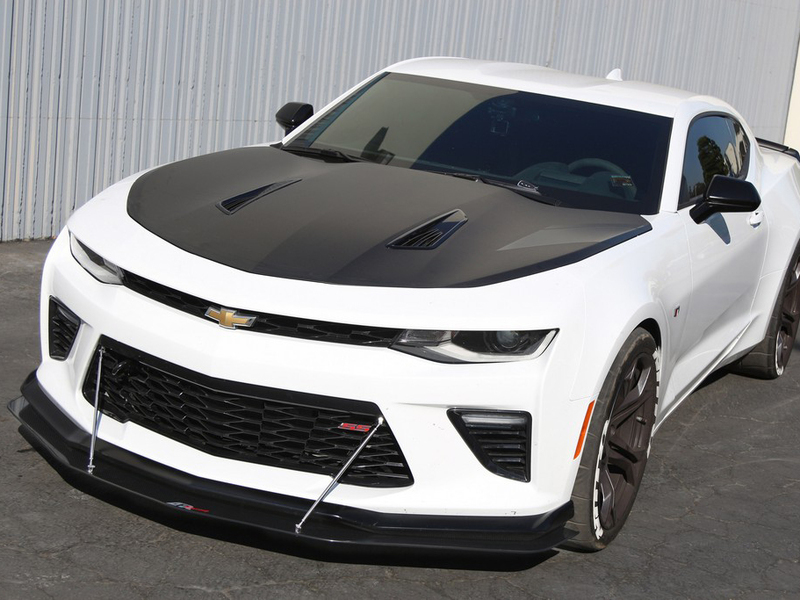 - Will ONLY fit the more aggressive air dam that comes with the Camaro SS 1LE models. It will NOT properly align with other Camaro bumpers. 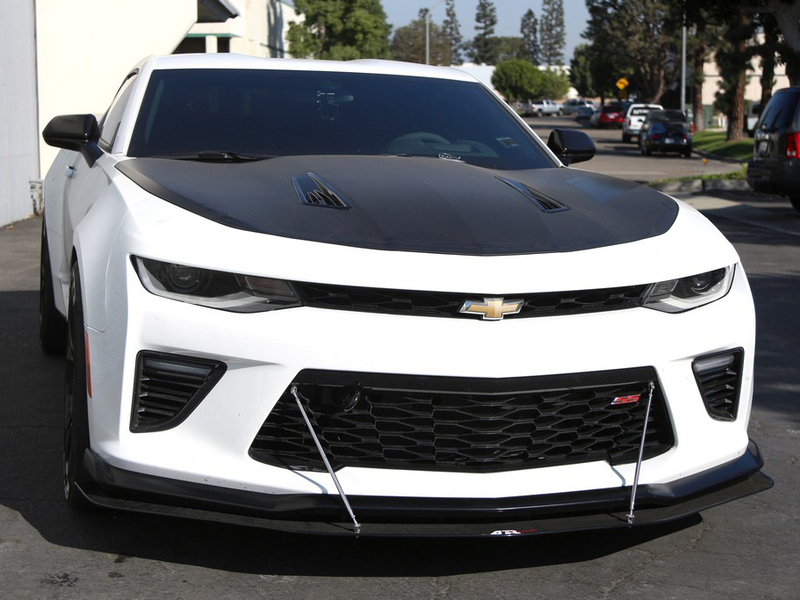 -Rods Included - Every APR Front Wind Splitters Come with stainless steel Support Rods. The box is oversized and may ship with Freight services.